It’s that time of year! The books are read, and it’s time for reflection. This has been a very difficult and sad year for me in my personal life, so I’m glad to say that in reading, it’s been a really wonderful year. I’ve read so many fantastic books this year, which was a relief after last year’s dud-reading year! As per usual, this post will include the end-of-year survey from The Perpetual Page-Turner, followed by my book/reading stats. Apologies in advance for the very long post! 1. 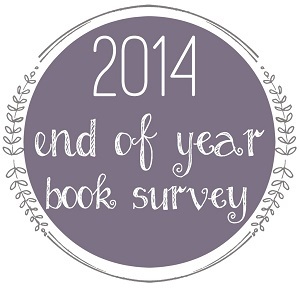 Best Book(s) You Read In 2014? – The Raven Boys, The Dream Thieves, and Blue Lily, Lily Blue by Maggie Stiefvater – Character, friendship, humor, tension, everything… And considering I read each of these three times apiece, these definitely top my list in 2014. – The Girl of Fire and Thorns, The Crown of Embers, and The Bitter Kingdom by Rae Carson – Amazing world-building, fantastic plotting, and I love the character growth over the series. – Landline by Rainbow Rowell – Heart-wrenching and painful and profound all at once. – Runner-up: Fangirl by Rainbow Rowell – Such a sweet comfort-read kind of love story. – Runner-up: Dreams of Gods and Monsters by Laini Taylor – Perfect end to this trilogy! The Diviners by Libba Bray. This…um…had so many of the exact same detailed elements as a manuscript I’ve written that I was very surprised. They were used in completely different ways than I used them, but still. Ah! Too many! Best started: Girl of Fire and Thorns series and the Raven Cycle both. Best sequel: other than the two I just mentioned, A Clash of Kings. Best series ender: Dreams of Gods and Monsters. Oh oh oh…um…Maggie Stiefvater, Rae Carson, and Rainbow Rowell. All three of the Raven Cycle books. They were my only multi-read books this year. There were several weeks when these were the only books I could read. Over and over. The Raven Cycle books. I’m nothing if not predictable. Cath from Fangirl, Elisa from The Girl of Fire and Thorns, aaaaand pretty much the entire cast from the Raven Cycle. Also, I have to mention a favorite quote from my other favorite series this year, from The Bitter Kingdom (book three of The Girl of Fire and Thorns series), because it also cracked me up: More arrows spear the brightening sky. Storm’s voice booms across the tiny valley, menacing and curselike. He’s intoning something in the Lengua Classica. Then a giggle bubbles from my throat when I realize it’s a silly rhyme about poppy fields and drunk sheep. 17. 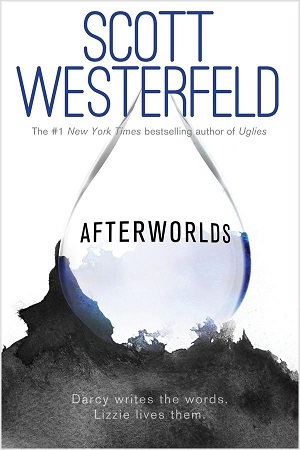 Book That Shocked You The Most (Because of a plot twist, character death, left you hanging with your mouth wide open, etc.)? The Supernatural Enhancements. What a wild, unpredictable ride. 18. OTP OF THE YEAR (you will go down with this ship!) (OTP = one true pairing if you aren’t familiar)? Um, Blue and Gansey. No doubt. Blue and the other raven boys (Adam, Ronan, Noah), plus all the boys’ friendships with each other. The group as a whole. If I don’t count sequels (which would make the answer automatically Dreams of Gods and Monsters), it would be Ninepins by Rosy Thornton. The Raven Boys by Maggie Stiefvater. I’d tried reading it in the past and didn’t get far. Memory, Jenny, and several others on Twitter bugged me to give it a second chance. Um…Blue, Gansey, Adam, Ronan, and Noah from the Raven Cycle. God I’m predictable. And yes, I mean I’m a little in love with all of them. Levi from Fangirl was pretty awesome too. I think I only read three debuts this year. The Supernatural Enhancements by Edgar Cantero tops that small list. The fictional world of Rae Carson’s Girl of Fire and Thorns trilogy. 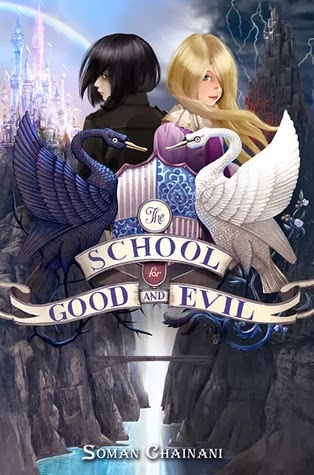 Definitely the Raven Cycle again, though especially The Dream Thieves, which had the most one-liners that made me laugh. Honestly I’m not sure I understand this question. If it means “book that is generally unknown or underappreciated,” then I’ll have to go with Rae Carson’s Girl of Fire and Thorns trilogy again. No real soul-crushers this year to be honest. The fourth Raven Cycle book, assuming it actually releases in 2015. Otherwise, Shadow Scale (Rachel Hartman), The Shadow Cabinet (Maureen Johnson), and Winter (Marissa Meyer). All four of the answers I mentioned two questions back. Keep posting regularly despite stress and other upcoming major life changes. I haven’t read any 2015 releases. My goal was to read less than 75 books this year, though preferably no more than 52 (one per week). Far exceeded my first goal, and only read one more than my preferable goal, so I think I did pretty well this year! Definitely read more fantasy than any other genre this year. And I didn’t even bother to include plays or poetry in my count, as both were big fat zeroes. My audio percentage held steady around a quarter of my reading this year. Normally it’s a bit higher. I would guess this is because I didn’t do nearly as much walking/running this year as in previous years! It’s been quite a long time since I felt like reading classics. About three years now. I kinda wonder when my mood will switch back to them again. My YA percentage is MUCH higher than usual this year! Most years I generally read twice as many adult books as YA. I suppose a lot of my favorite YA authors did have books come out this year, plus I discovered a few YA authors I really loved. No surprises here. This is about standard for me. I probably ought to try to read more books written by men, but honestly I don’t care enough to make that conscious effort. I am really embarrassed by how few translations I read this year… My POC numbers are rotten, too. Best Book-related Discovery: This year’s best discoveries were purely new-to-me authors. I am so excited and happy to have discovered Rae Carson, who I’d never heard of before and found through a random library grab; Rainbow Rowell, who I was really reluctant to try due to all the hype; and Maggie Stiefvater, who I’d given up on in the past. It’s incredibly rare for me to find so many new favorite authors in a year, so I am very grateful for these discoveries! 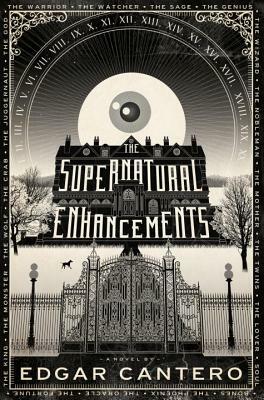 Supernatural Enhancements does have a great cover, doesn’t it? And it is so much nicer when you are actually holding the actual book. Love the way it feels. You had a really good reading year. I think I only managed on re-read for the year. It has been getting harder to re-read with so many potentially good books so close to hand, but years of neglecting re-reading favorites means that I feel this building wave of desire for re-reading that may crash over me soon. Here’s hoping so. I have loved embracing rereads. I’ve always been a rereader and got out of the habit in my first years of blogging. I love that I don’t mind doing it now, even if that means reading multiple times in a row when I can’t get enough of a book! I’m so, so glad you ended up loving the Raven Cycle! I really need to read Supernatural Enhancements. And yay for The Raven Cycle. That series is just so powerful to me. It really is! They just blew me away.